Peninsula College continually strives to ensure a consistent “look and feel" for the college's brand across all communications. Much thought, time and effort have been put into creating these elements that reflect our vision, values and guiding principles. 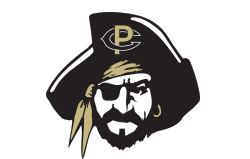 The PC logo is available in both horizontal and vertical format, and adaptable with space for secondary text for specific programs. Adherance to the standard color palette is required for all instances.